Quite a few mail and parcel thefts have occurred in Crown Hill, Greenwood, Ballard during the holiday season. The thefts are still ongoing. 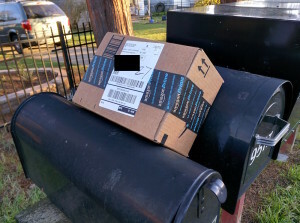 In a new wrinkle, last week, one of our neighbors reported witnessing his outgoing mail stolen on 12th Ave. Until now the MO usually involved following behind the US Mail, UPS, FedEx trucks and then perpetrating the crime. Theft of outgoing mail can be a means of identity theft and the effect can be more devastating than theft of goods from incoming mail or delivery services. Remember that theft of US Mail is a federal crime and should be reported to both the US Postal Service and the SPD. Please be on the lookout for unusual activity around mailboxes and porches. Consider getting a locking mailbox, and having packages delivered to work or a neighbor’s house who is home during the day. To add to that advice, it’s probably a good idea not to place outgoing mail in your mailbox (even with locking mailboxes, a thief can access the outgoing mail).